( 1:20 ): Welcome to TSC Him & Her Show hosted by myself & my husband, Michael Bosstick. We’re interviewing Cara Alwill from The Champagne Diet. We’ll be chatting about abundance mindsets vs. scarcity mindsets, writing a book and experience stretching. ( 2:20 ): How are you feeling about the holiday season? It’s the busiest time of year for me so it’s been a whirlwind for sure. ( 4:10 ): Michael & I were apart of a TSC readers proposal. Andrew reached out and we faked meeting his girlfriend to surprise her! It was such an adventure and a really special moment to watch. ( 12:45 ): HIM TIP: Mindset is everything. Stop focusing on what other people are doing and just do you. ( 15:30 ): HER TIP: Evaluate where you are putting your energy. You can do anything but you can’t do everything. 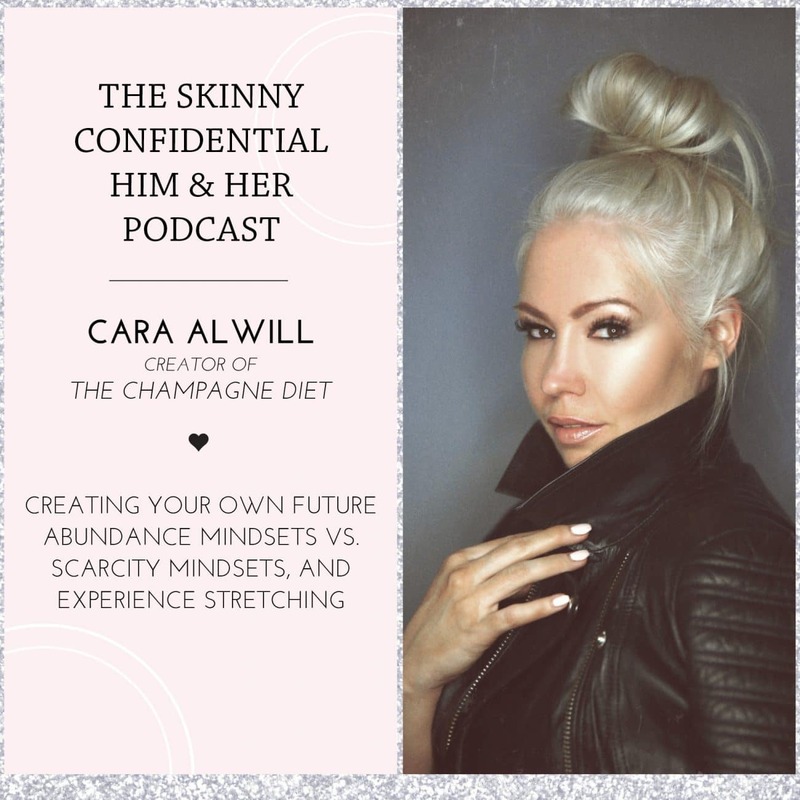 ( 18:10 ) Cara Alwill empowers women to live their best life, celebrate themselves everyday and make their happiness a priority. She’s a best-selling & award-winning author, podcaster and master life coach. We’re excited to welcome her on the show! ++ This episode is brought to you by YumEarth. If you have a sweet tooth, this is the better option. It’s certified non-gmo and organic. Love the peach licorice.